Als Spitze werden eine Reihe von Hunderassen bezeichnet, welche in der FCI-Systematik in der Gruppe 5 in den Sektionen 4 und 5 geführt werden. Dabei wird zwischen europäischen Spitzen (Sektion 4) und asiatischen Spitzen (Sektion 5) unterschieden. 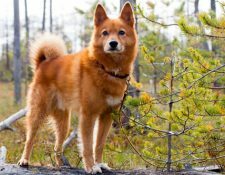 Eine nähere genetische Verwandtschaft zwischen europäischen und asiatischen Spitzen besteht – abgesehen vom Eurasier und dem Japan Spitz – nicht. 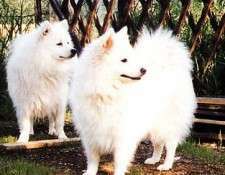 By the current state of scientific knowledge the German Spitze are descendants of the stone-aged Torfhund and the subsequent palafitte Spitz. A lot of other breeds of dogs originated from the Spitze. They are watchfully, actively, teachably, robustly, faithfully, neither fearfully nor aggressively, in short a steady companion dog, but at the same time also a very good watchdog with distinctive protection instinct who loves „his“ family. 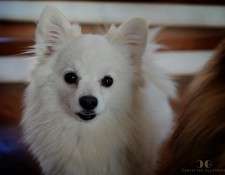 The German Spitz is often characterized without any hunting instinct. 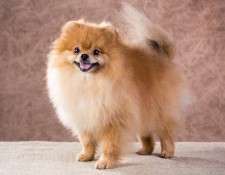 That is correct in many cases but not in all of them, because every Spitz has a special character, but even in these cases the thrill of the chase is very underdeveloped. Normally he does not stray or poach at all, because for a very long period the only „job“ of a Spitz was to guard house and farm. 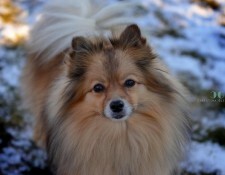 The beautiful coat of the Spitz is easy to clean and dirt-repellent, there is no necessity to bath them frequently. To comb their fur once a week is enough, except during the change of coat of course. Important in daily contact is in any case a consequent and artful handling, as Spitze try very tricky to enforce their ideas. Also their race typical pleasure in barking can be controlled well by early education. In any case a consequent and artful leadership is very important, as Spitze try to enforce their ideas very tricky. Also their race typical pleasure in barking can be controlled well by early education. 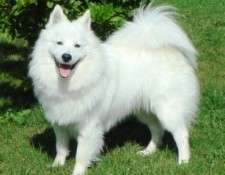 It is assumed that the Japan Spitz originates from the white German Medium-Size Spitz and came to Japan via Siberia and North-East-China in the 1920s. In 1948 the Japanese Kennel Club created a common standard. 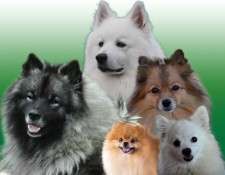 For the Japan Spitz the FCI standard requires a proportion of body height to body length of 10:11 – so he should be a bit longer than high, in difference to the German Spitz, who should have a square body. In opposite to his German relatives he was not bred as „companion and watch dog“ but only as companion dog. And in addition he barks little although nothing escapes him. 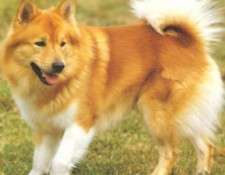 The Icelandic Sheepdog is a Nordic Spitz and is used as sheepdog. Probably the Vikings brought him to Iceland in the 9th century as a robust and resistant assistant. Until today the Iceland Dog is the only registered race there. His main tasks were in the past and nowadays to roundup and to herd sheep (sometimes also horses) in the Icelandic highlands, where he works very independently. The Iceland Dog is barking rather often, happy, friendly, nosy, playful and fearless. The Lapinporokoira belongs to the Nordic watch- and sheepdogs and originates from Finland. For hundreds of years the Laplanders used dogs from the same type as the Lapland herding dog to tend their reindeers. First entries in the register were done in the 50ties of the last century. 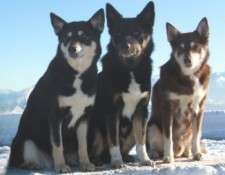 At this time the present-day Finnish Lapphund and the Lapponian Herder were only one race. 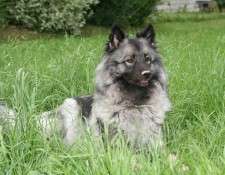 This was changed after the discovery that they are 2 different races of reindeer herding dogs – due to that the Finnish Lapphund was established as separate race on 10/12/1966.